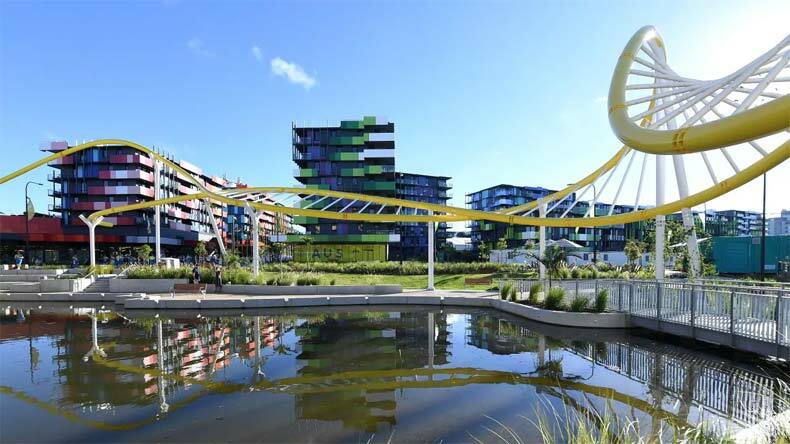 Gold Coast village is all set to host the Commonwealth Games 2018 and welcomed the 6,600 athletes and team officials with 2,25,000 condoms, 17,000 toilet rolls and free ice cream on their grand arrival. Reports said that every person will get about 34 condoms which means an average of three a day over the 11 days of competition. Ahead of Commonwealth Games 2018 opening, the organisers are planning to make thousands of competitors and support staff to feel comfortable and safe during their stay at the Gold Coast. At the Gold Coast village, besides providing a number of facilities to the competitors to relax, the organisers have a major concern about their sexual health too. With the 6,600 athletes and team officials entering Australia’s eastern coast, the management has provided them with 2,25,000 condoms, 17,000 toilet rolls and free ice cream on their grand arrival. It is for the fifth time that Australia is going to host the Commonwealth Games. According to a report in the Quint, every person will get about 34 condoms which means an average of three a day over the 11 days of competition. Keeping in mind, the quality time for competitors, organisers will provide virtual reality computer games, swim, lounge by a man-made waterfall, play the piano or sample the free lollies and ice cream. Reports said to treat the foodies about 300 chefs will cook and staff the 24-hour dining room. The kitchens in Gold Coast village will be serving food according to different athletes’ different needs, which includes vegan, vegetarian, halal, gluten-free or lactose-free. As per the organisers, the redevelopment of the athletes’ temporary home is the most significant legacy project of the Games. The organisers have revealed that the village will be made available to rent from early 2019. Recently, at the Pyeongchang Olympics in South Korea, organisers welcomed athletes with about 1,10,000 free condoms. At the Rio Olympics, about 1,45,000 condoms were handed out to athletes as a safety measure towards sexually transmissible Zika.